Withania Somnifera, Butea Superba, Panax Ginseng, Glycyrrhizae Radix, L-Ornithine, L-Tyrosine, Schisandra Chinensis, Cornus Officinalis, Curculigo Ochoides, DMAE, Cnidium Monnier, Mucuna Pruiens, Ostrea Gigas, Pyrola Calliantha, Choline Bitartrate, Herba Cistanche, Rehmannia Glutinosa, Panax Quinquefolius, Sarsaparilla Jamaican, Serenoa Repens, Eurycoma Longifolia, Cynomorium Songaricum, GABA, Cuscuta Chinensis, Damiana, Lycium Fruit, Maca, Morinda Officinalis, N-Acetyl-Carnitine, N-Acetylcysteine, L-Arginine AKG, L-Lysine, L-Taurine, Tribulus Terrestis, L-Alanine, L-Glutamic acid, Epimedium Grandiflorum, Chinese Angelica. Juventine Pierce "Like A Bottle of Love"
I'm into weight lifting and power lifting, been doing it for about a decade and haven't stopped since. I notice that I've recovered fast and have had much more aggressiveness in my mood and intesity with my workouts. It gives me a slight headache someitmes, maybe because my body is not used to this type of supplementation. I would not recommend to take it if your in your early 20s because your testosterone levels are already high enough, unless you really need them. 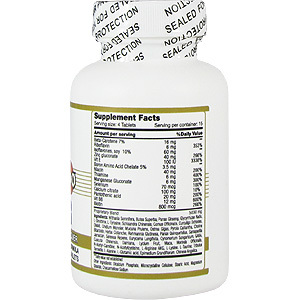 It's great as a natural boost and want to keep yourself up without the untamable crash or fatigue. Seth A. "Has high potency"
I have used other brands and this is very potent compared to them, meaning it works much more effectively. I can atually recover faster when I'm asleep, doing it overtime has increased my productvity levels tremendously. Helps with libido as well, which was an unexpected but I don't mind. Experimenting with a bit and it seems that my diet also has a effect on the way it works. I'm a healthy person and I maintain a consistent diet, it's not perfect but I know I don't junk myself down with what I eat. I can say that I'm receiving accurate and real results. Anonymous "Naturally boosted my levels"
After taking this for a couple of days I can say that there is something in here that works. I feel much more "invigorated" throughout the day and my productivity has skyrocketed both at home and at work. What I like is how I can take it along with what I'm eating and feel the benefits quicker. I think a larger meal would promote a much faster response from your body, at least in my case. It does have an effect on your appetite, you'll be less hungry but I recommend that you take your meals as you normally would, I'd imagine it's acting up like a supressent in some way. It's not a good thing, but I'll take it for what it is since it works as advertised. M. Masen "Feel like a million dollars"
But without the million dollar price tag. 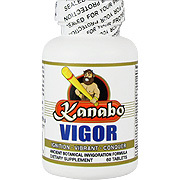 That's how I feel after taking the Vigor, which is an amazing supplement to use. I'd like to pledge anyone to try this and you'll receive results within days! I can't help but rant about it to everyone at my work. I took this with every meal that I had, one time I tossed it in with a snickers bar but that's all I had at the time, all or nothing really. Been on it for about 4 months and counting, this is going to be my 5th one coming. 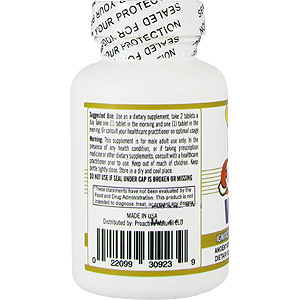 Every now and then I experience some mild headaches in addition to the stamina that I get, but that's nothing compared to the continued results that I'm using. I have tried a few other supplements beforehand, they all worked but I haven't received as much of an invigoration as them. 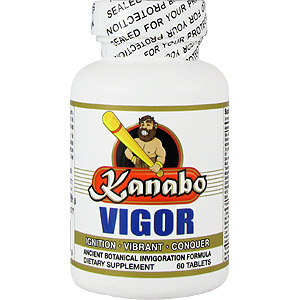 Kanabo Vigor - Invigoration Formula, 60 tabs is shipped in a discrete, unmarked package. Orders are processed immediately and usually takes about 3 to 5 working days to be received. We do ask that you try it for 2 to 3 weeks to feel the full effects. Any information received is used only for order processing and shipping purposes. Your information, such as e-mail address, will never be disclosed to a third party.